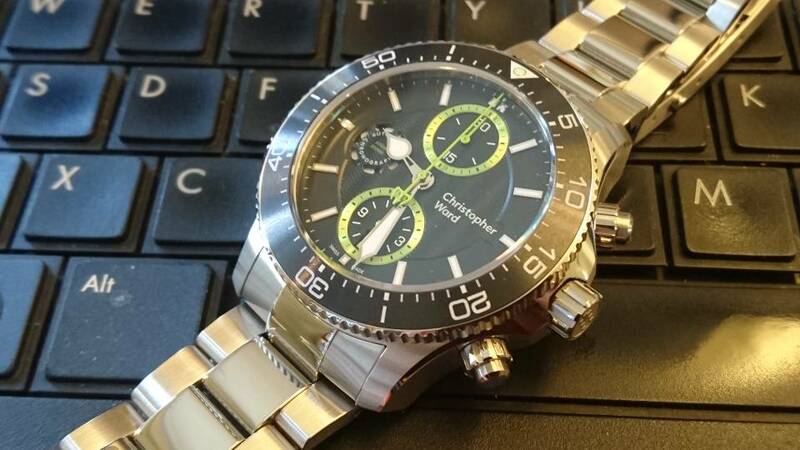 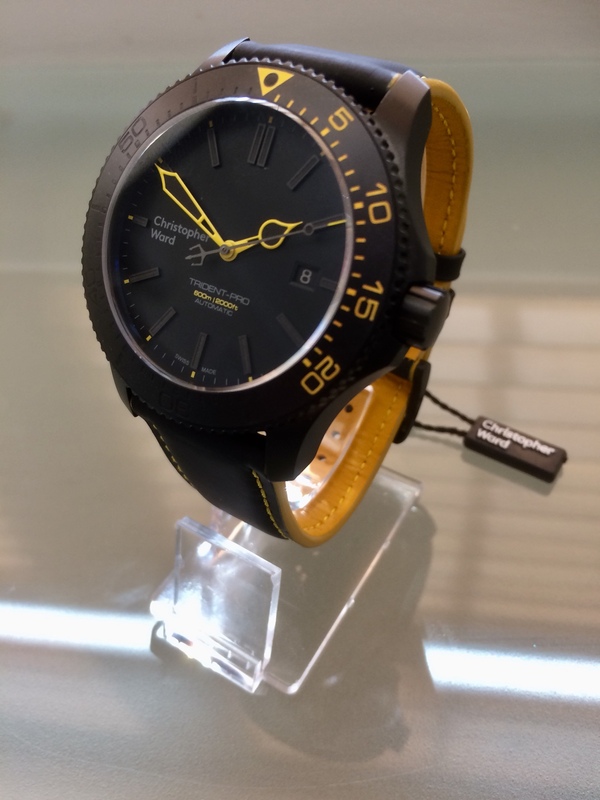 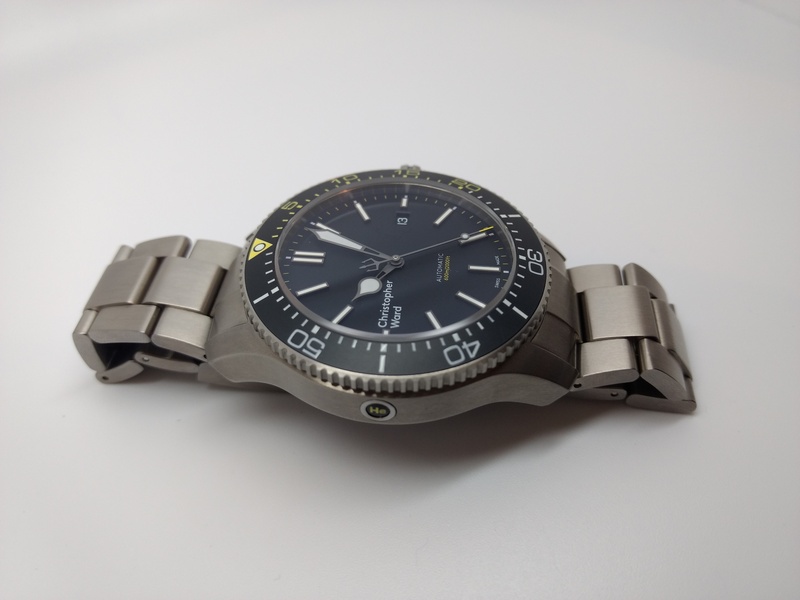 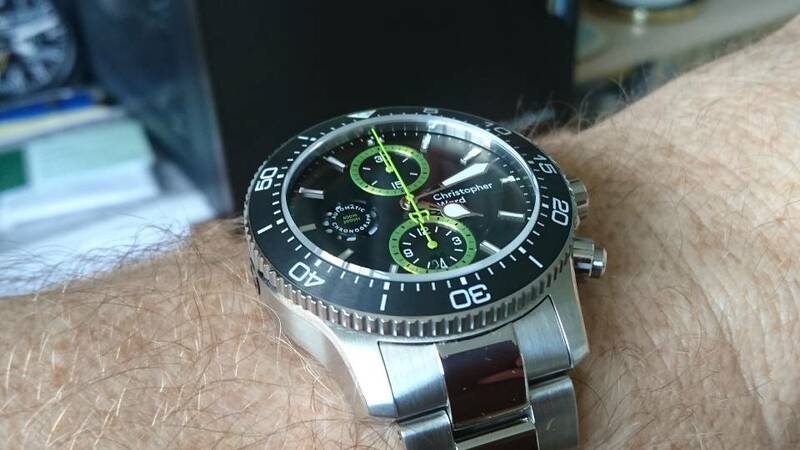 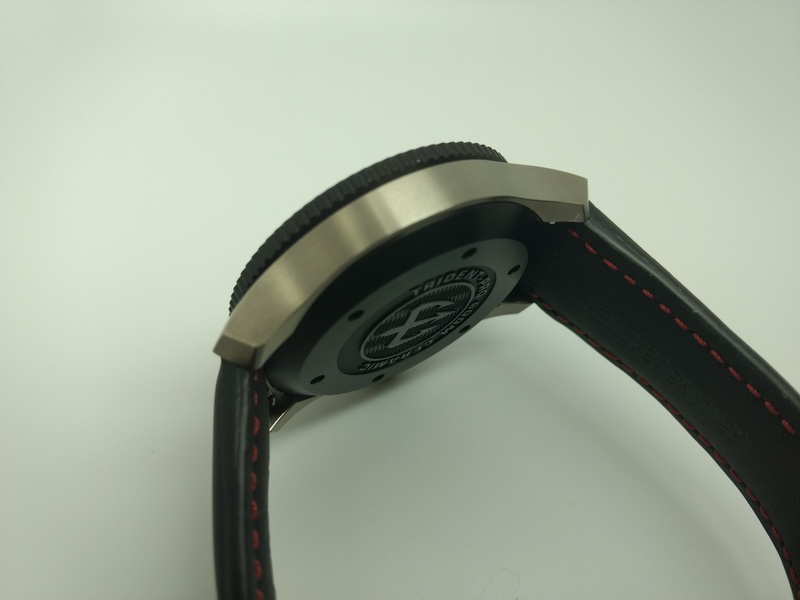 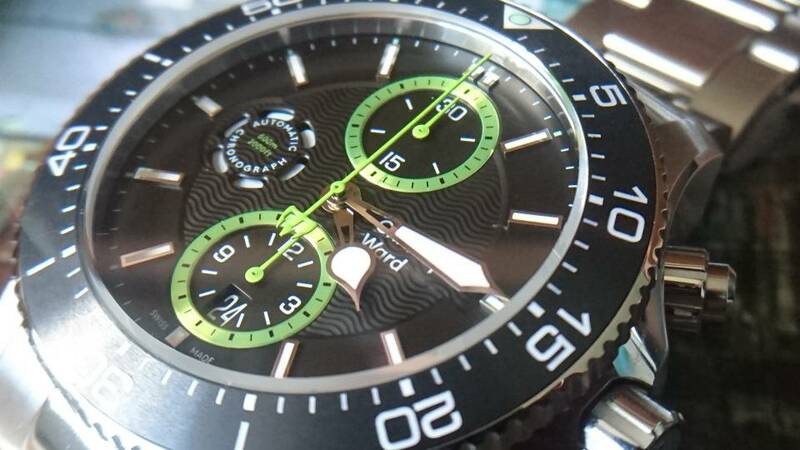 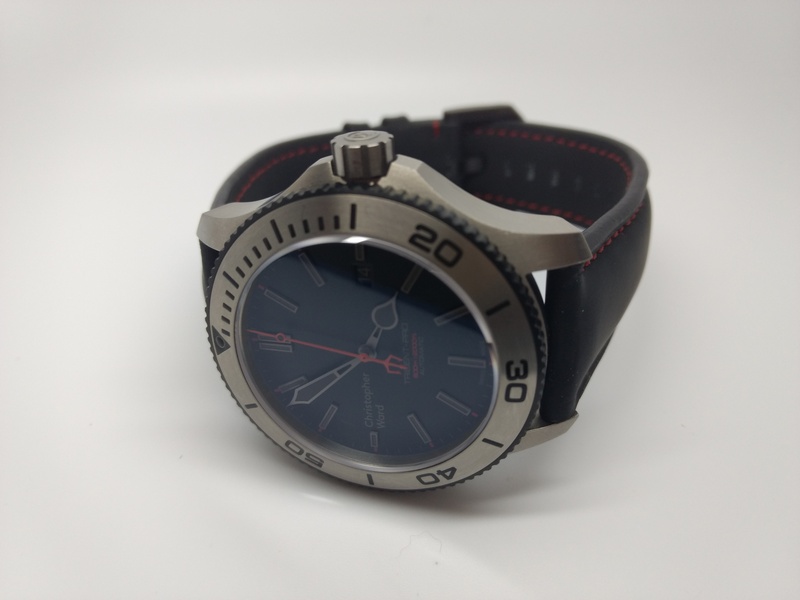 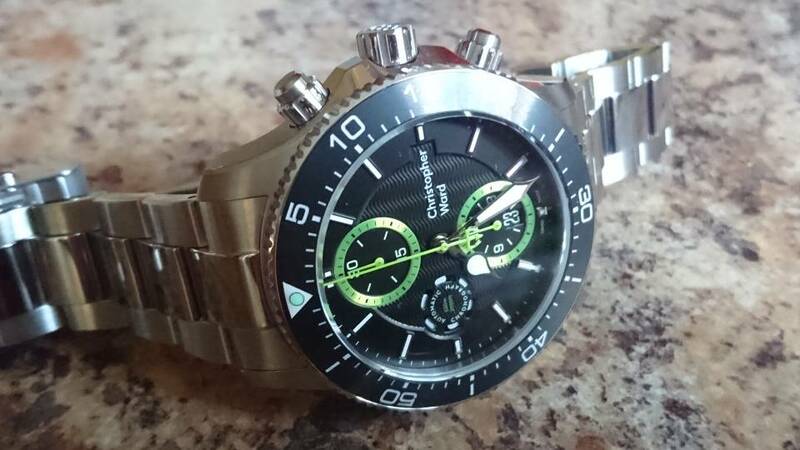 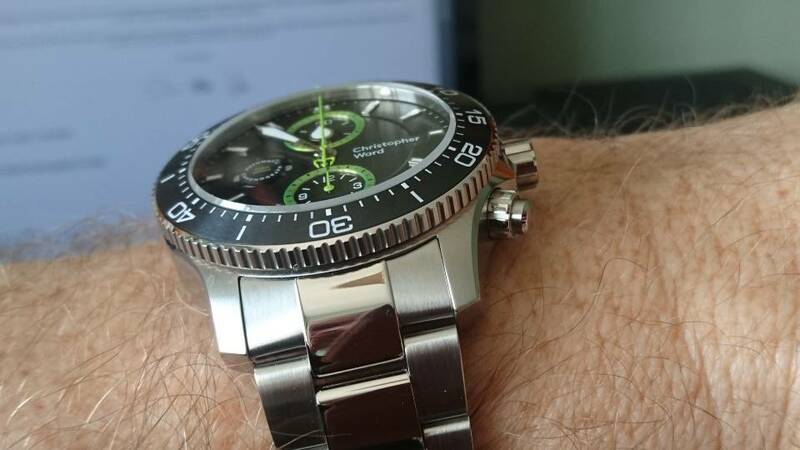 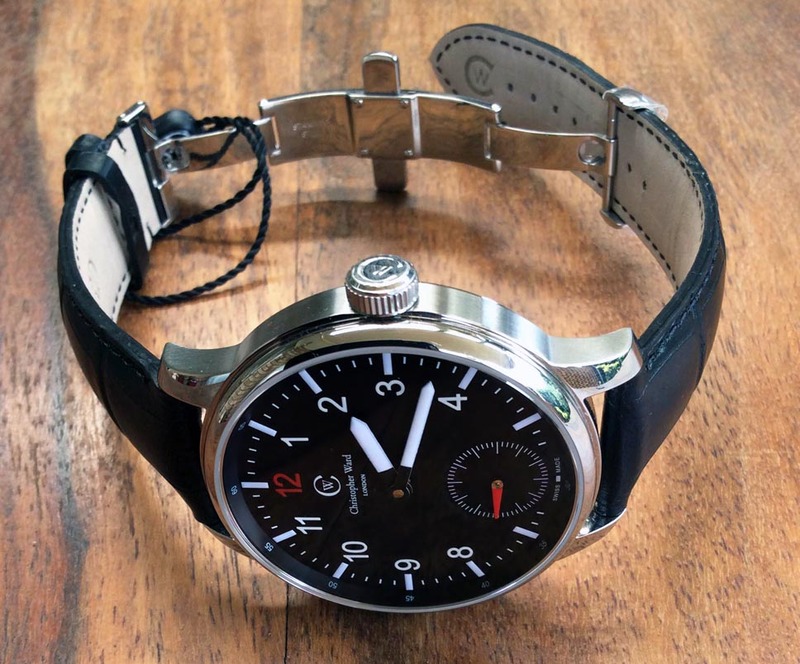 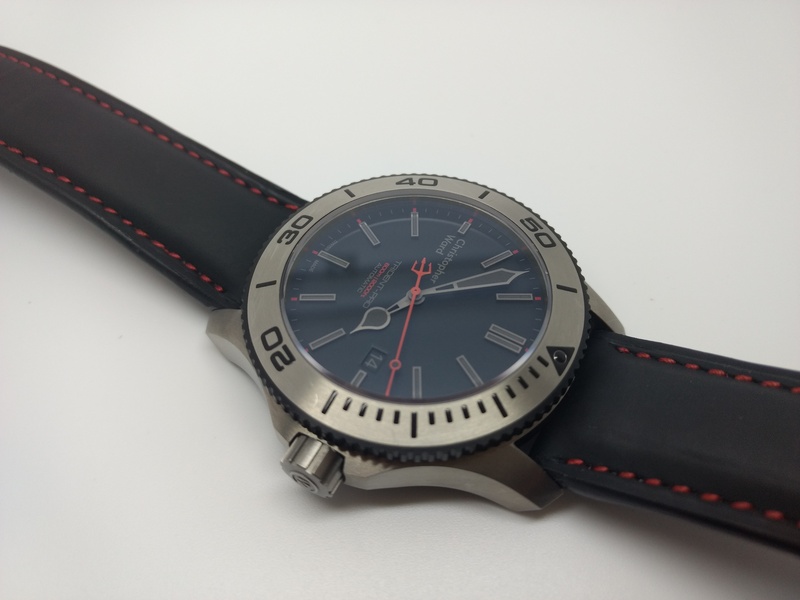 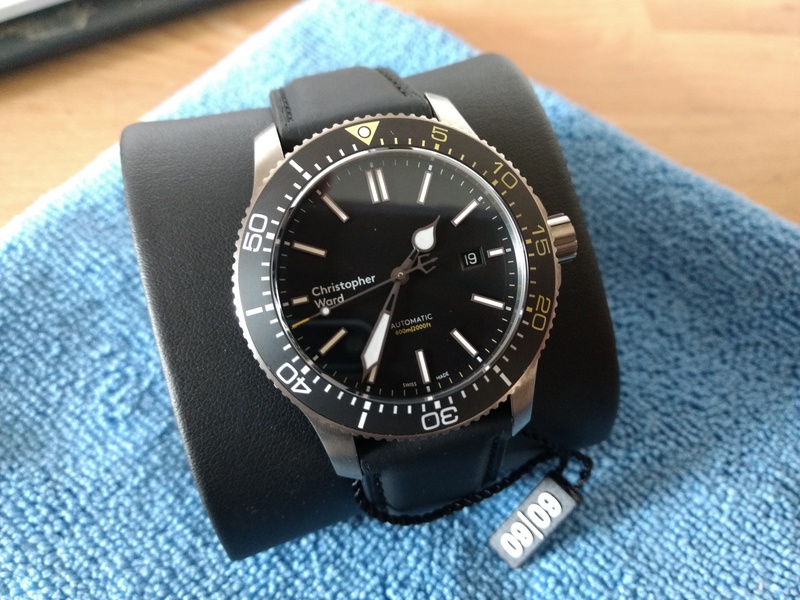 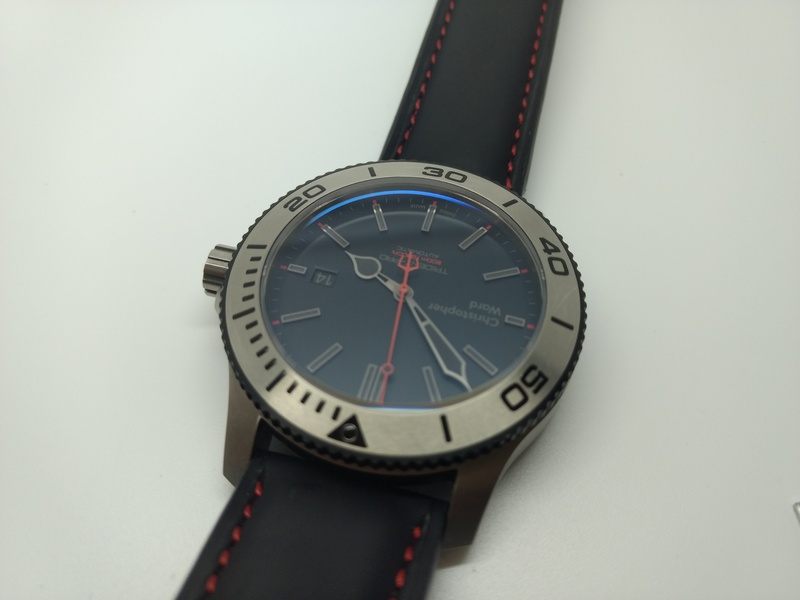 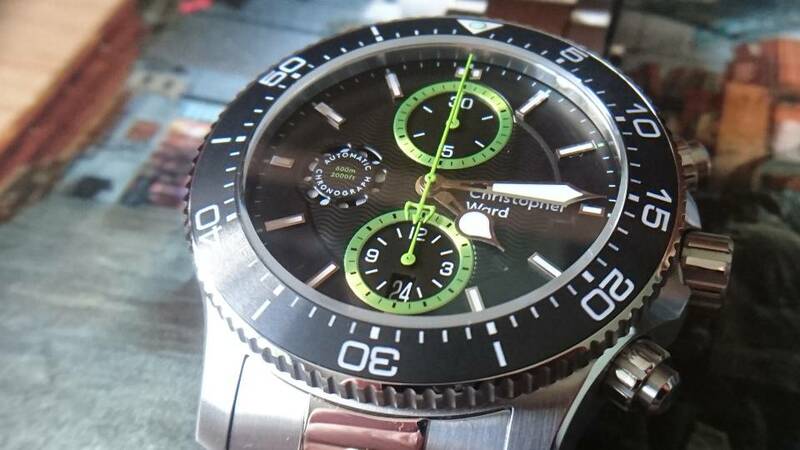 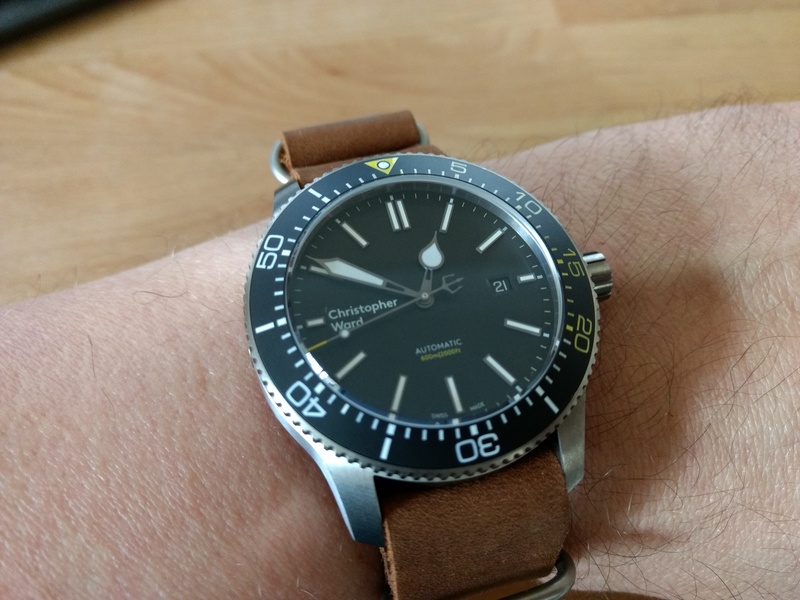 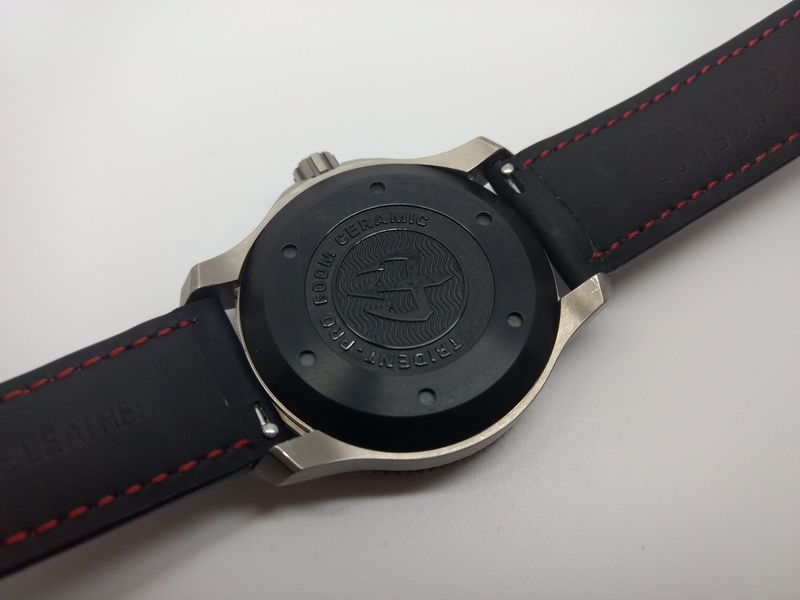 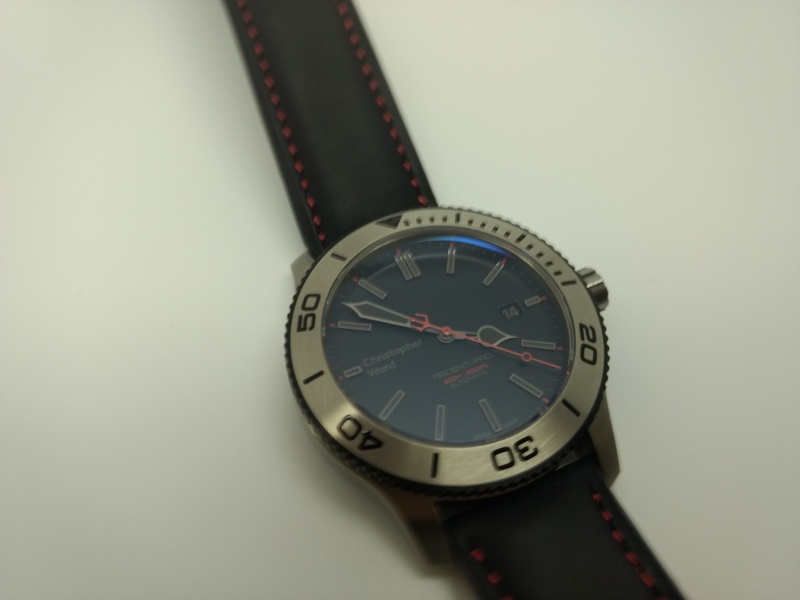 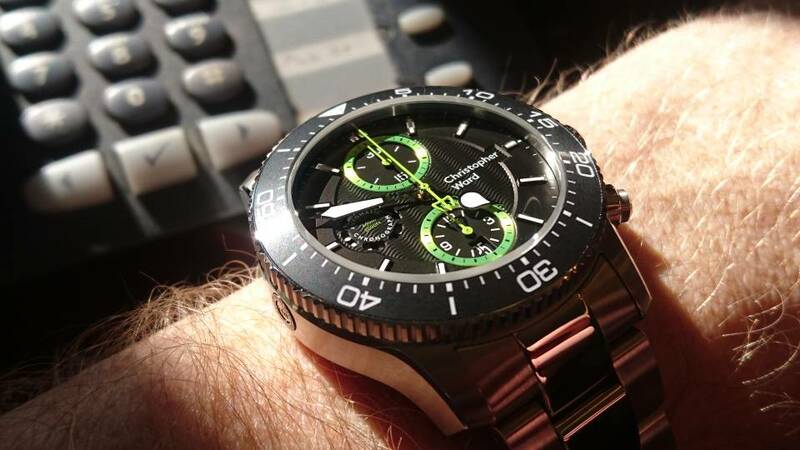 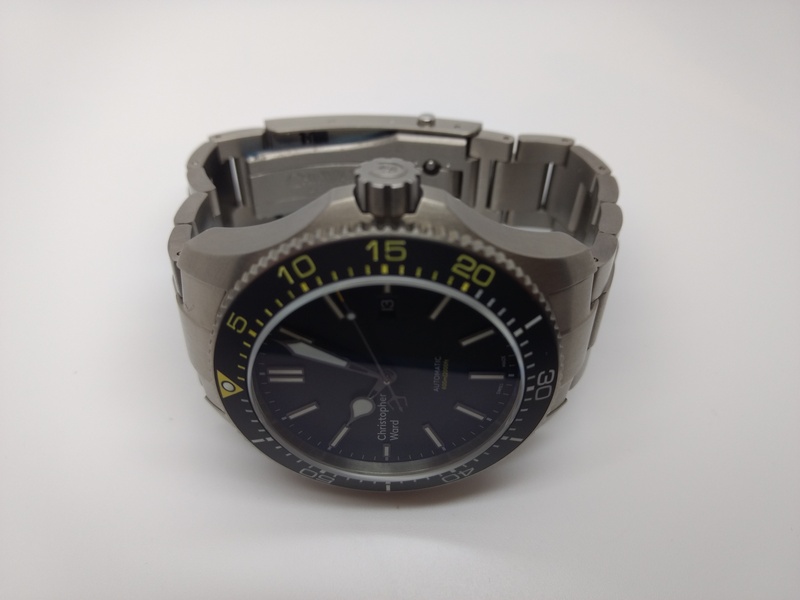 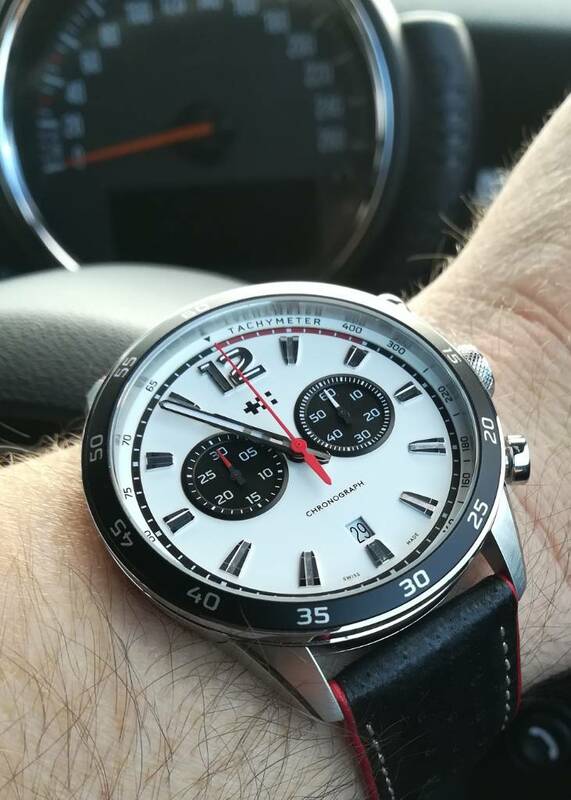 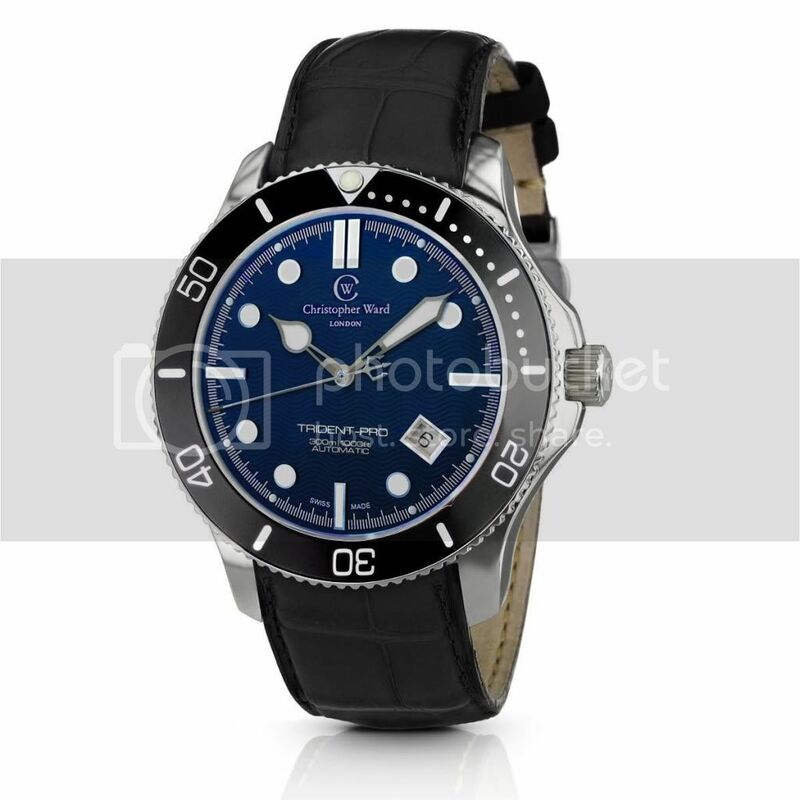 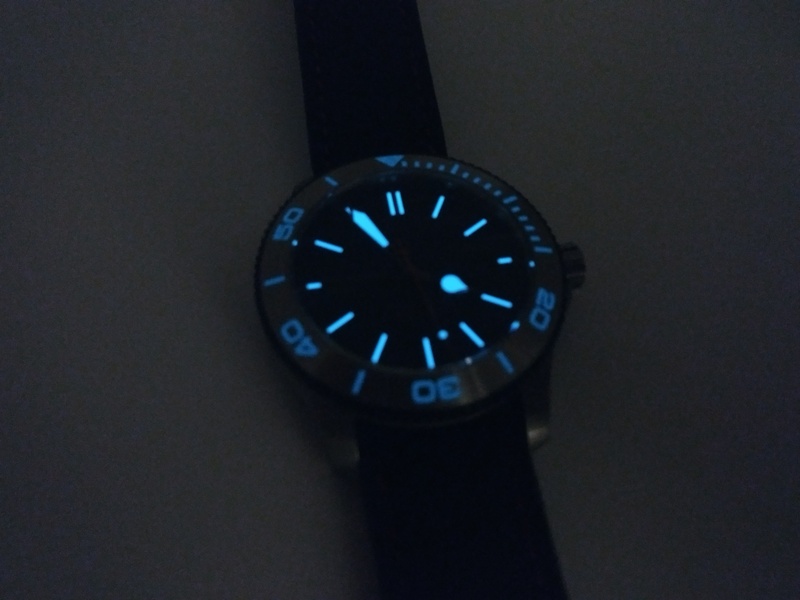 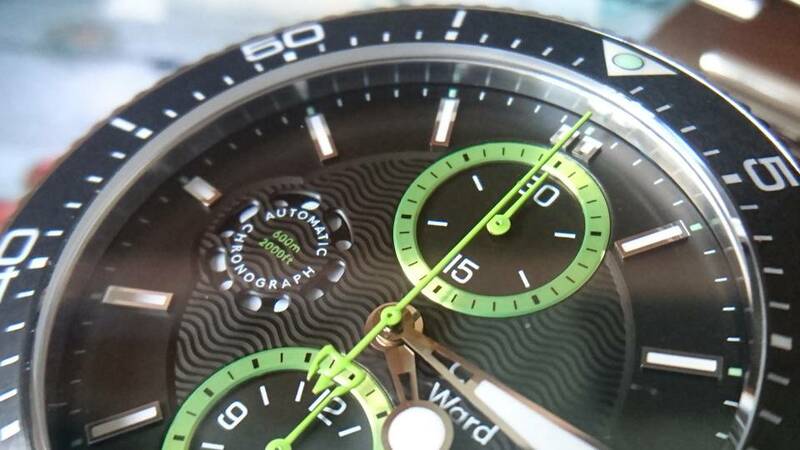 My prototype C60 Trident Pro 600 chrono, #000/100 which didn't make it to production. 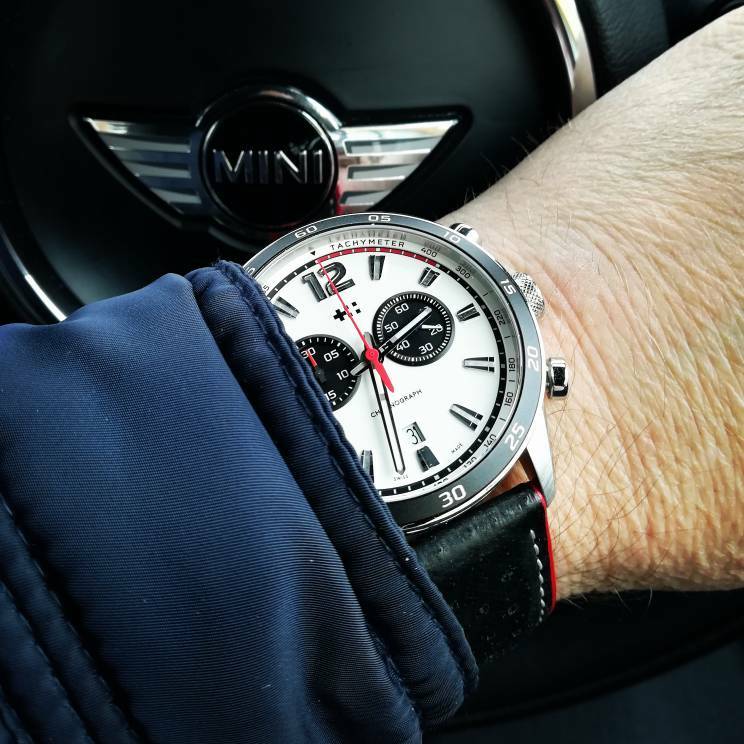 "Developed around the time of the C60 Trident Chronograph's release, this completely unique creation is the Chronograph given a vintage overhaul. 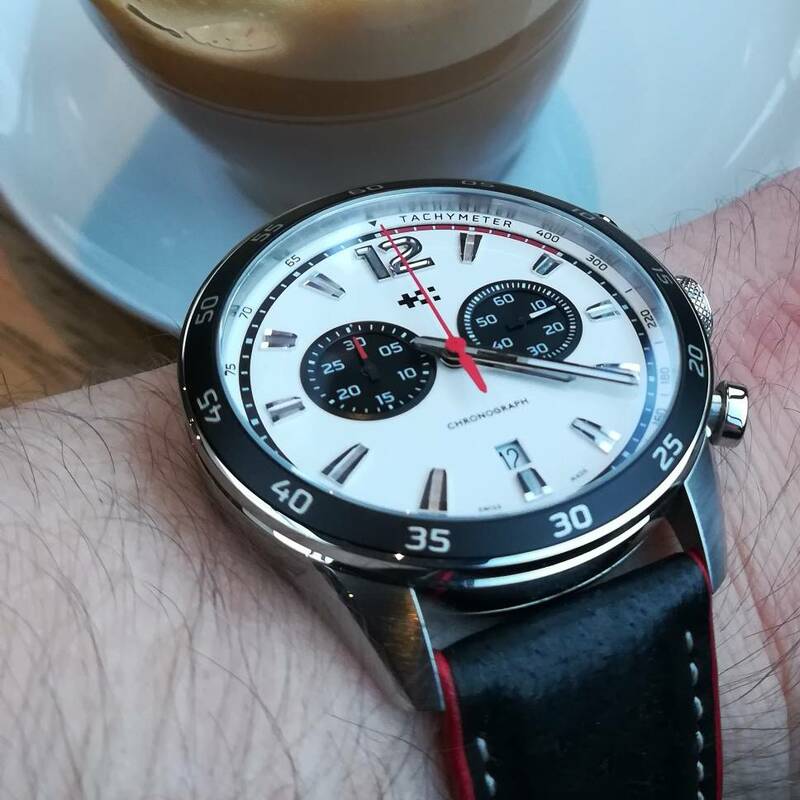 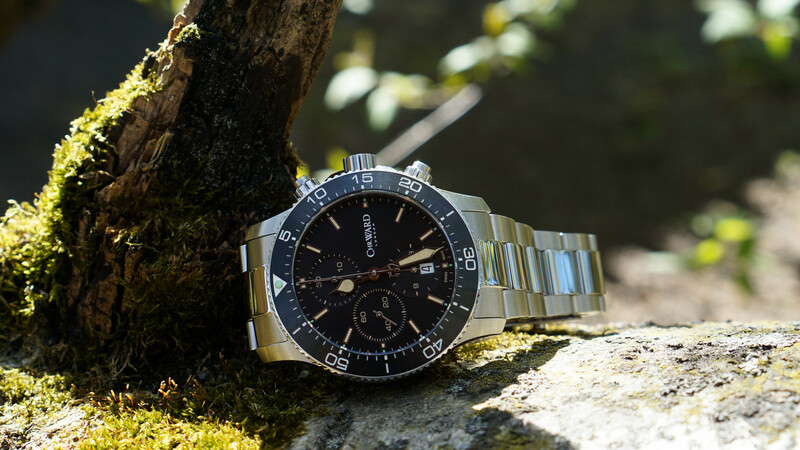 Water-resistant to 100m and powered by the Valjoux 7750, a regular small second subdial replaces the Chronograph's usual breathing regulator-inspired feature." 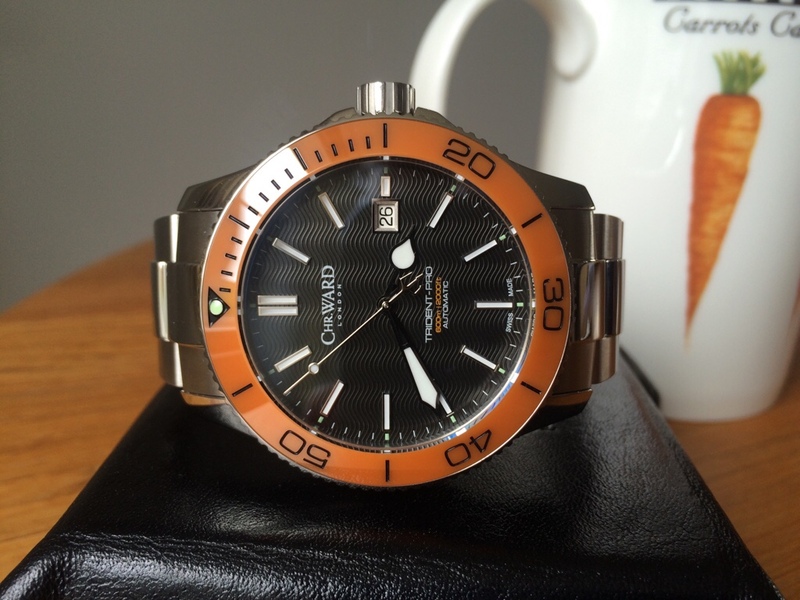 C60 Orange ceramic that IIRC didn't make it into production as they weren't happy with the colour of the ceramic. 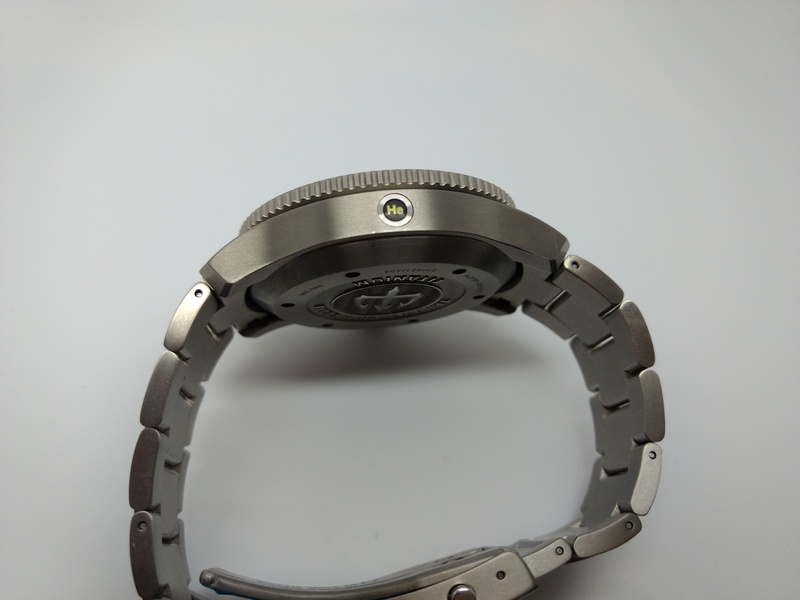 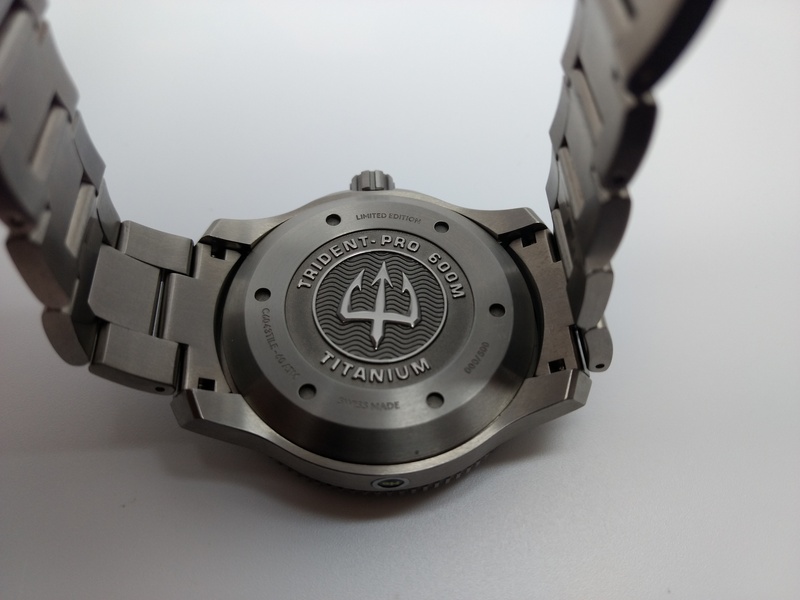 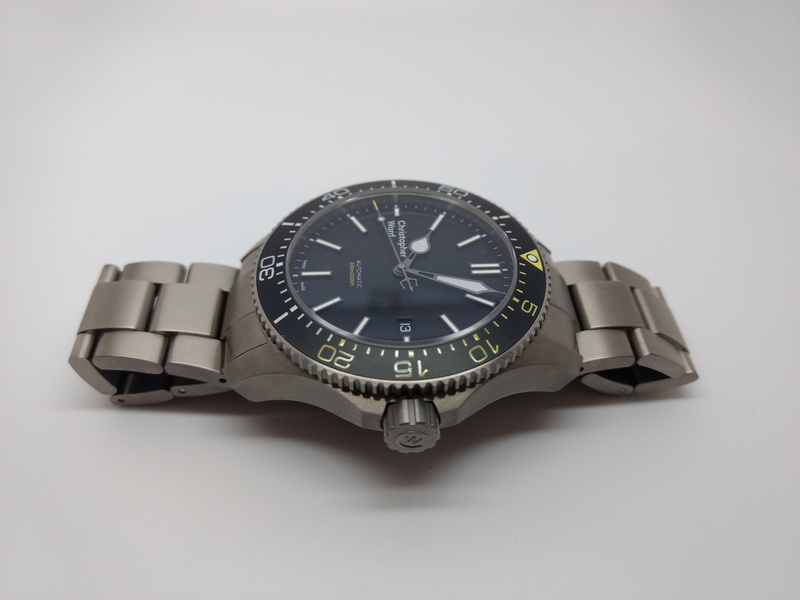 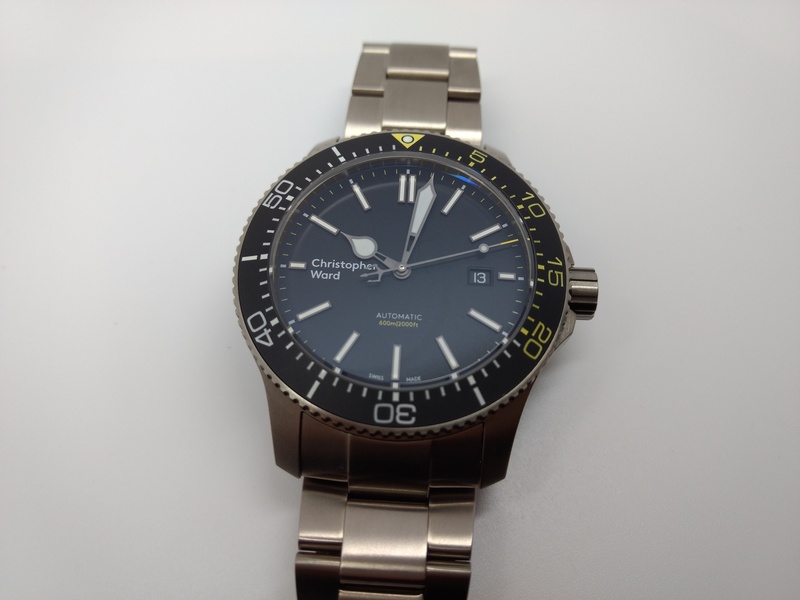 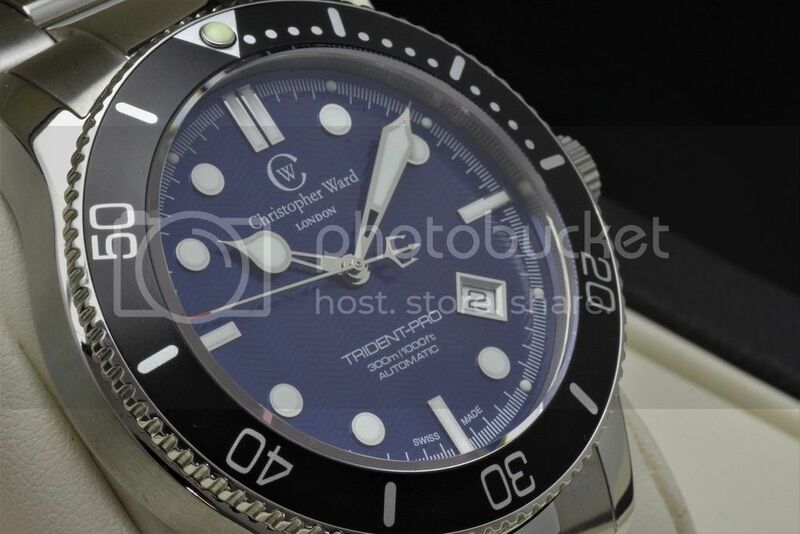 Images of the C60 Trident Titanium Pro 600 that never made it into production. 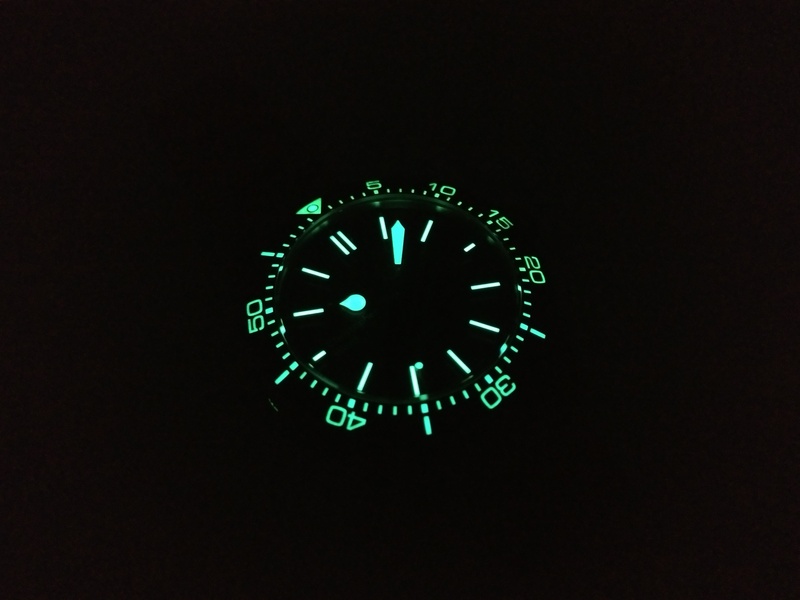 Pics taken with my phone, so apologies if they're not up to scratch. 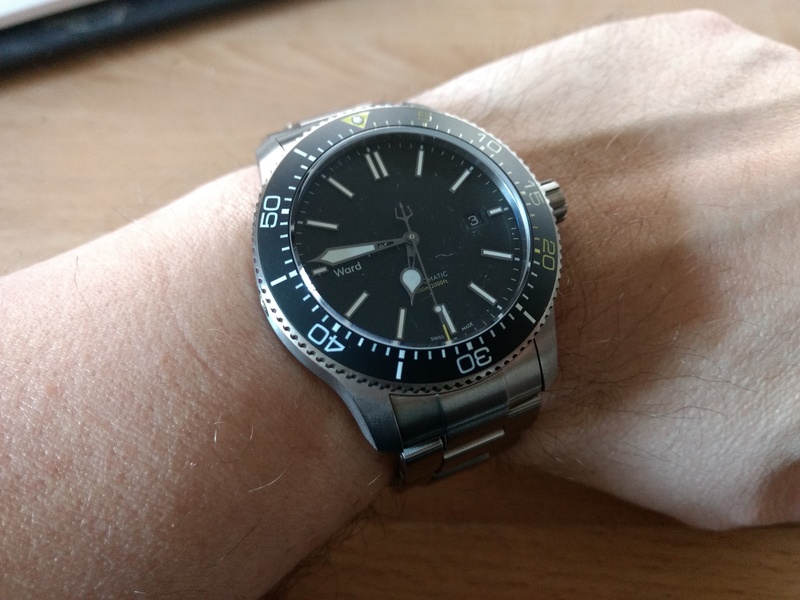 And this one-off Trident arrived with me today, although not sure whether I will keep, return or pop it in sales corner yet. 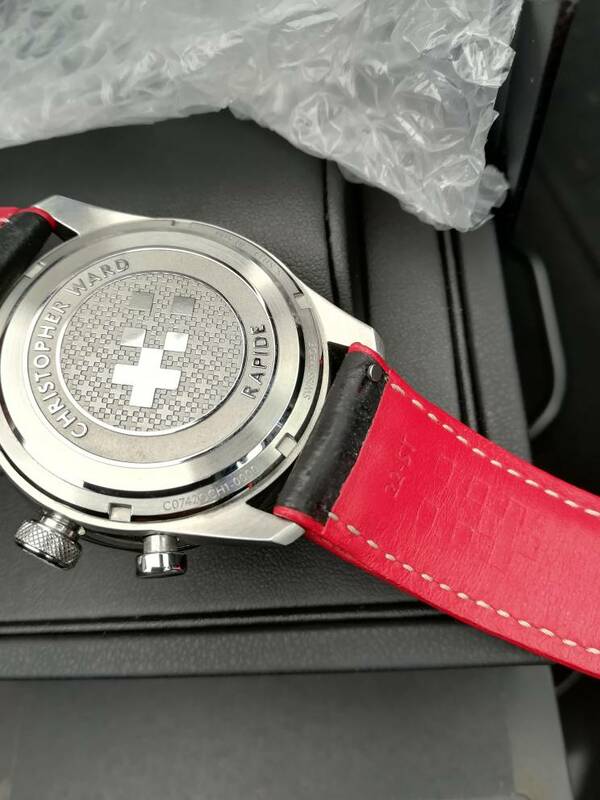 No serial or model number on the case back on this one. 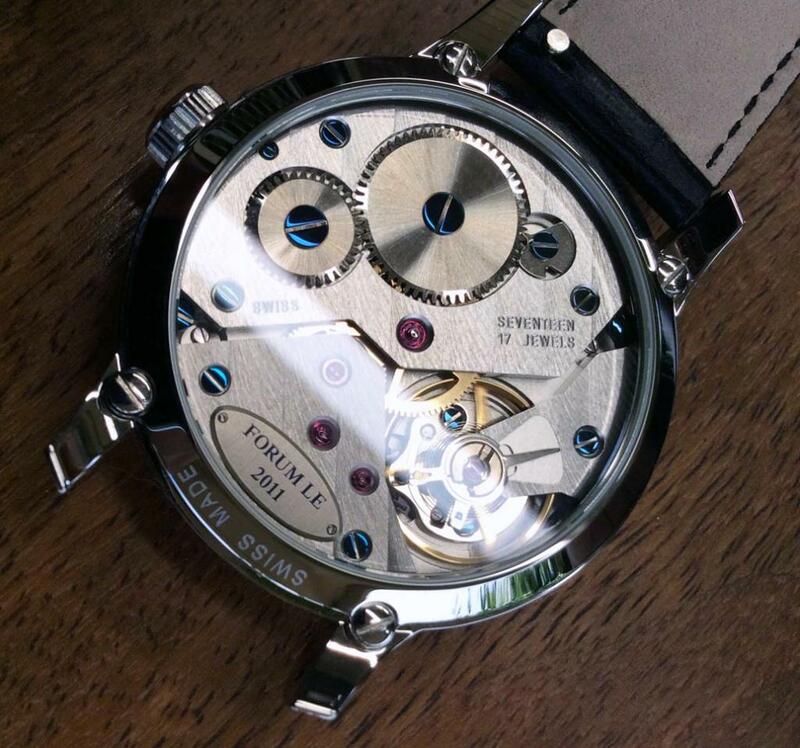 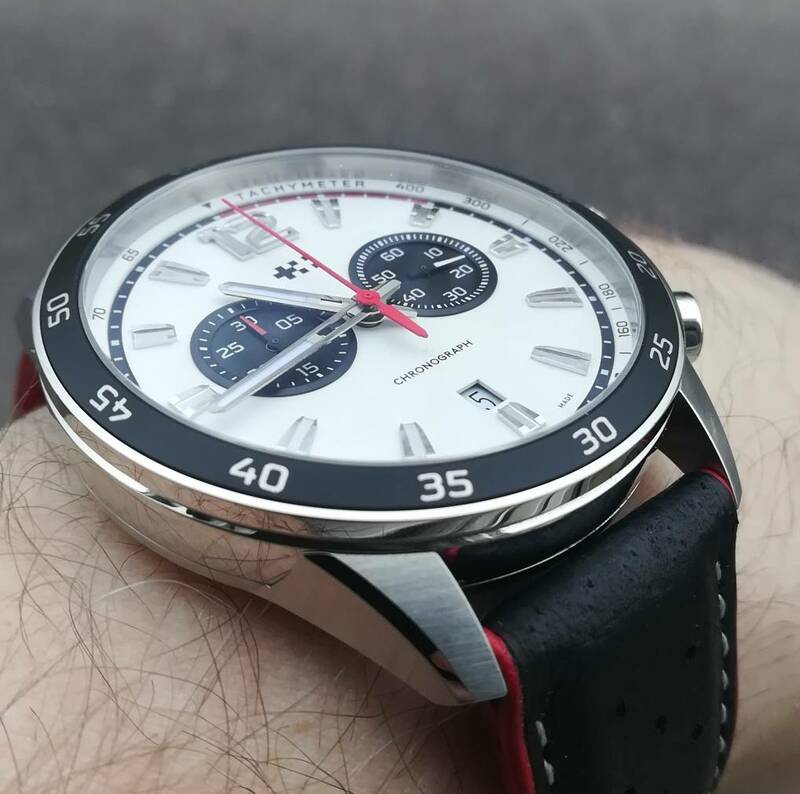 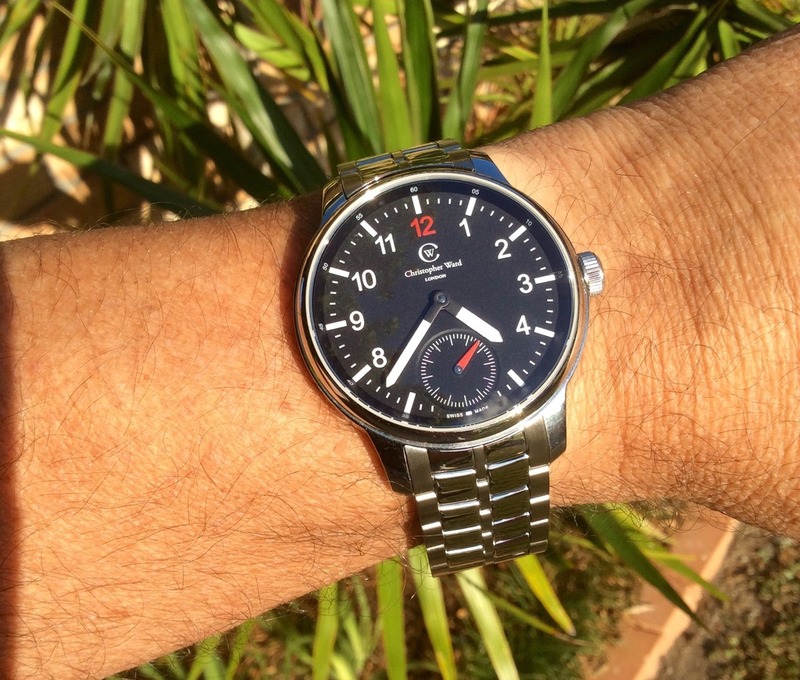 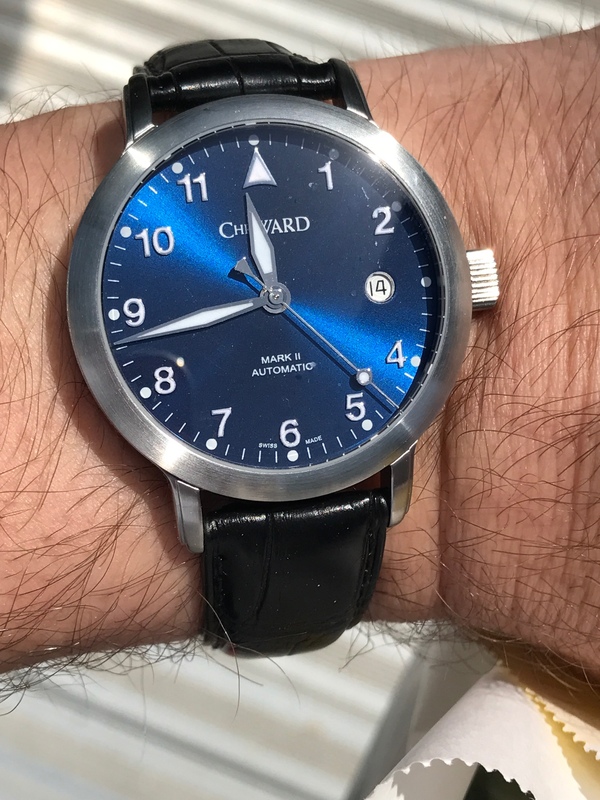 It’s HHGTTG in reverse; Tellin the time using white lumed hands pointing to white indices on a white dial with a white ceramic bezel and a white rubber strap! 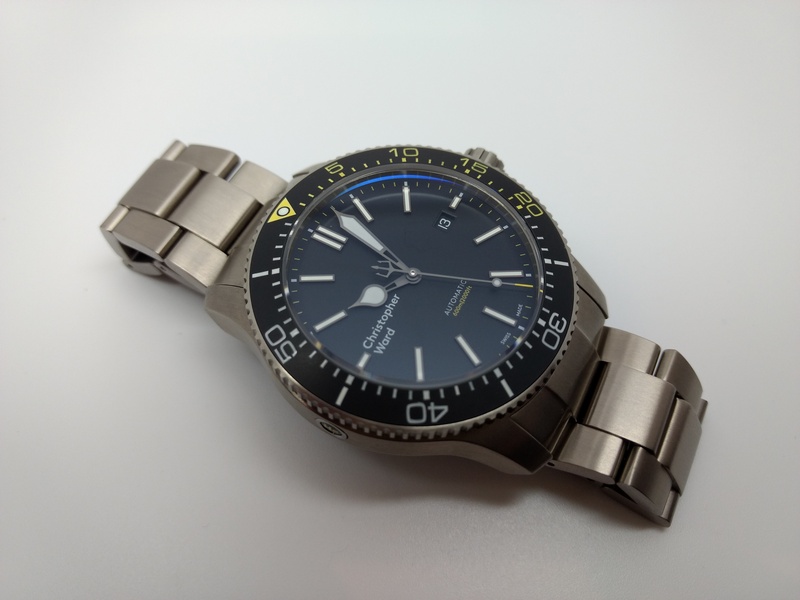 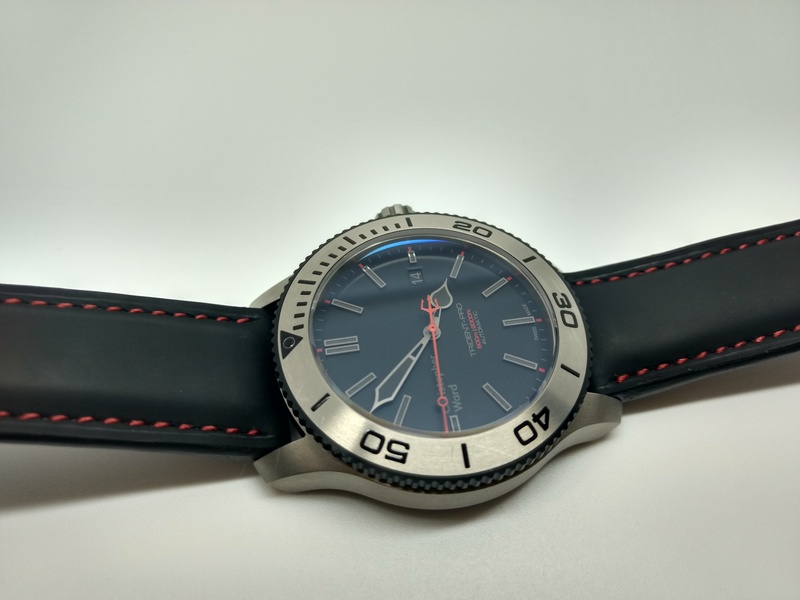 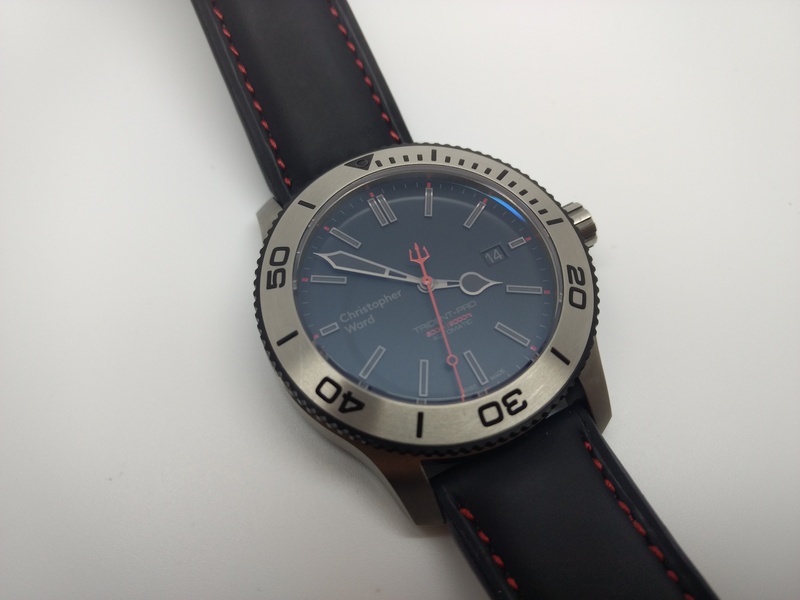 2018 C60 Trident Pro 600 Titanium Helium prototype, this is the only one of its kind and never went into production.